You are currently browsing the tag archive for the ‘wearing the green’ tag. First Night Design | St Patrick’s Day Feast #Napkins #Placemats #Sold! Take care and keep laughing! 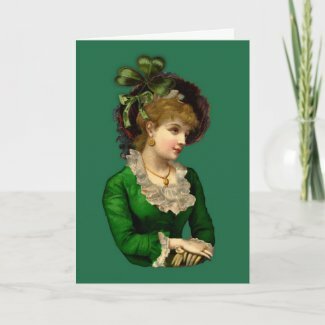 Celebrate St Patrick’s day by sending this greeting card to your friends, altered vintage art. created with a Victorian lady from The Graphics Fairy and a shamrock from Karen’s Whimsy.